A simple interface design, guiding you through your stocktakes, transfers and purchase orders (request). Simple and Easy. 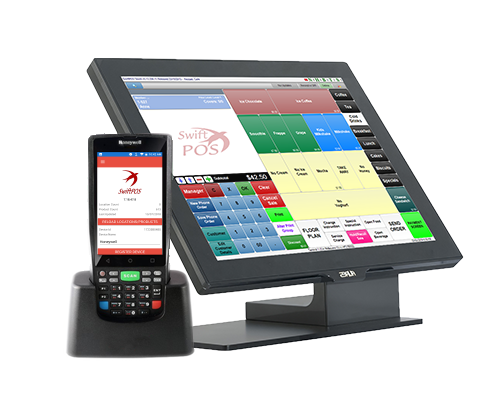 A smart solution to organise, keep on top of and maintain stock throughout all locations of a venue. Get rid of the clip board, reduce the amount of errors and best of all, slash the time spent in the stock room. Reliable, secure and fast, means efficiency and peace of mind. Simply scan product barcodes then enter the quantity, giving you transparency in your stocktake’s, stock transfers and purchase orders. No longer flicking through pages of product listings to find the exact product. When scanning barcodes or QR codes, all items are automatically consolidated and converted back to their base stock unit, e.g. cartons to bottles, keeping the exact amount on record. Product descriptions are displayed on the screen when scanned, and if a barcode is not on file it can be quickly identified and can add the new barcodes to existing products in the Back Office. Stocktakes can be done outside of wireless access for those external warehouses or remote locations. Stress less, as there is no need to worry about losing your stock counts. Easily export the stocktake onto your local device, if in case the wireless network goes down. 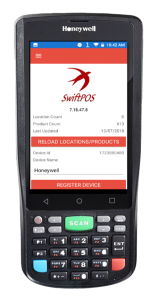 Designed to withstand a drop of 1.2m on concrete, the SwiftPOS Stocktake App has been designed for single hand operations, freeing up the other hand for stock handling. Simply press scan and enter the quantity. Batteries can be charged without any loss of important data that has already been entered. Running on a industrial version of android software, the device does not need constant updates like regular phones. Auto power off feature means better battery life. Speed up processes by having multiple devices committing stocktake counts in the same location at the same time. Clerk logins means reporting of individual clerk counts can be tracked as well as individual references entered. With integrated wireless, there is no need for the device to be connected to a computer, all updates and data retrieving is done wirelessly. For more information – Please contact us here.